Lets face it: we all want a gorgeous smile, right? Having a straight smile is important to all of us for many reasons. Whether you’re born with perfect pearly whites (AKA none of us), or you have areas that could use a little improvement, there are many options to correct a crooked smile. Here at Imagine Dental, we wanted to share some of the most popular corrections we perform, to keep our patients informed on all of the possibilities to perfect your smile. Shocking, right? However, there may be a lot you don’t know regarding the recent advancements and upgrade materials we are using now in regards to braces. What used to be an unsightly combination of big brackets, wires, and sometimes even headgear is now extremely simplified and much more discreet and comfortable. 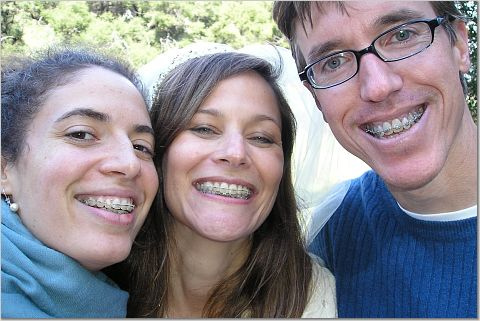 Braces tend to be the most efficient and effective fix for a multitude of issues. They also tend to be the cheapest option as well. Everyone has been raving about the clear, retainer like solution to crooked smiles. As an alternative option to metal dental braces, Invisalign is a “removable” option. They make day to day processes like eating and oral hygiene routines easier. Since Invisalign is 100% customized and remodeled as your teeth change, prices can be more expensive than braces. It definitely provides those weary of metal braces an option to also correct the alignment of their teeth. When people think about smile correction, many don’t consider that prosthodontics can also have the solution to what typically an orthodontist handles as well. Dependent on how the teeth are aligned in the mouth, braces and Invisalign may be unnecessary. Prosthodontics usually offer a quicker solution. With possibilities including veneers, they can make minor adjustments in hours instead of months with this option. For more information about how we can help you achieve a straighter smile, give Imagine Dental a call at (480) 893-7733.